Green Gears provides Hybrid training for technicians in Denver, CO. 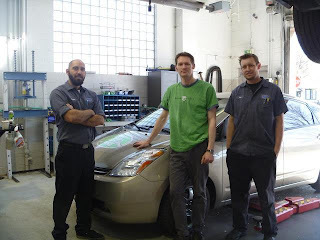 The Educational program designed by Green Gears and City College of San Francisco gives automotive tech students an education based on real world experience, practices concerning hybrid and plug-in hybrid maintenance. As an innovator in Plug-in hybrid repair and conversion Green Gears is in a unique position to be able to offer students a practical hands on experience.